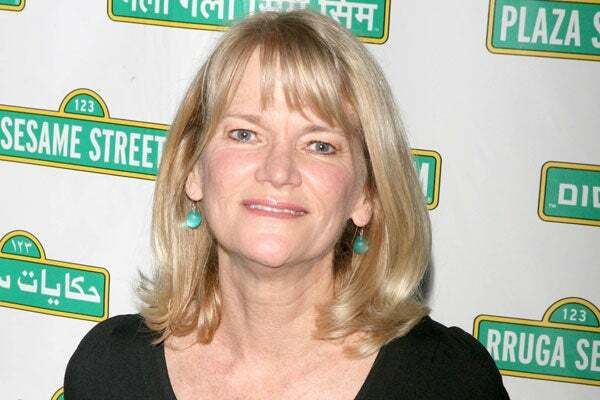 It’s a pretty big story that Barack Obama attended the wedding of Martha Raddatz, the ABC News senior foreign correspondent picked as the moderator for Thursday night’s vice presidential debate. It’s an especially good story since Obama was close enough to the groom, Julius “Jay” Genachowski, that he appointed him as chairman of the Federal Communications Commission shortly after being sworn in as President almost 20 years later. Funny thing is, The Daily Caller, which first learned that Obama was a guest at the 1991 wedding, is not exactly getting credit from politicos and fellow news outfits for keeping ’em honest. Even though the October 10 story was Dally Caller reporter Josh Peterson’s eyebrow-raising follow-up to his August 23 report first detailing the Obama–Raddatz–Genachowski connection. Actually, not many eyebrows raised—until the Drudge Report led with a link to Peterson’s story. ABC News dispatched spokesman David Ford to play down and beat back Peterson’s guest-at-the-wedding story by “pre-leaking” it October 9 to sympathetic outlets such as The Daily Beast and Huffington Post. “This is absurd,” Ford huffed. But is this more important than Big Bird? Yes, Raddatz and Genachowski divorced in 1997, about 10 years before Genachowski used his net-roots know-how to help his buddy from the Harvard Law Review, a freshman U.S. senator, win the White House. But the news business used to say the angle for this kind of story was the need to avoid even the appearance of a conflict of interest in public matters. Good newsrooms applied the principle and the angle to situations involving liberals and conservatives, Democrats and Republicans. But Mike McCurry, co-chairman of the Commission on Presidential Debates that runs the show and picks the moderators, says he doesn’t see it that way. We selected the [debate] moderators based on their reputations for integrity and journalistic impartiality among other things. What counts is the quality of their work, not who they may have been married to in the past. McCurry, a communications pro and former press secretary to President Clinton, knows better. And he knows he knows better. Picture this: President George W. Bush is in the final days of a tough re-election fight. A liberal news organization reports that the moderator of the upcoming vice presidential debate used to be married to Bush’s FCC chairman. It follows up with a story that Bush himself had attended their wedding. The moderator’s employer trashes the story before it’s published. One can imagine the media asking some hardball questions about the moderator’s ability to be fair. The news organization that employs the moderator—not to mention the sponsoring debate commission, its reputation also at stake—might feel pressure to be super-transparent in disclosing the potential conflict and describing steps to ensure no bias in favor of the Bush ticket. Even to the point of replacing the moderator. Peterson’s stories on ABC’s Raddatz seek to ask and answer some of the right questions, as did Daily Caller colleague Neil Munro’s earlier one on the leftward leanings of the debate commission. What was the nature of Raddatz’s relationship with Obama in 1991, and how did it change over the years? When did Raddatz disclose her ties to Obama, including his attending her wedding, to superiors at ABC News? If she didn’t, why not? If she did, what ethical constraints did ABC put on her? When and how did the debate commission learn of these ties, and to what extent? Can ABC spokesman Ford back up his written assertion that “nearly the entire [Harvard] Law Review” attended the Raddatz–Genachowski wedding, implying that Obama’s presence was no big deal? (A contemporaneous photo shows the law review had 70 staffers at the time.) If Ford doesn’t have those facts, why did he circulate that assertion to reporters? And finally, now that The Daily Caller has followed up its August 23 report of the Obama–Raddatz–Genachowski connection with the wedding story, how do ABC and the debate commission plan to fully inform the public before the debate begins at 9 p.m. Thursday? If these and related questions aren’t answered before the candidates for vice president take the stage in Danville, Kentucky, it’s fair to keep them in mind as Raddatz questions both men. 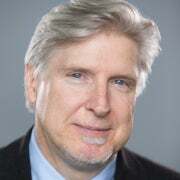 Ken McIntyre, who reported, assigned and edited news stories during 25 years with local and national newspapers, most recently as an assistant managing editor at The Washington Times through 2006, is Heritage’s Marilyn and Fred Guardabassi Fellow in Media and Public Policy Studies.